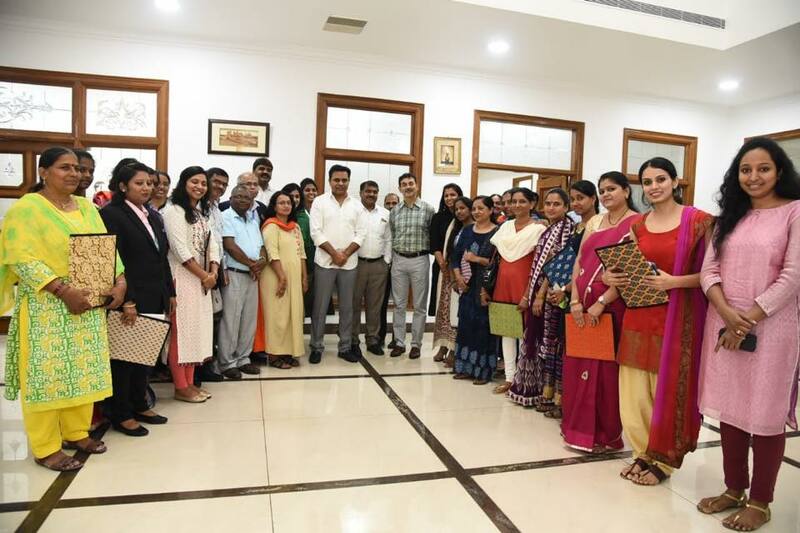 WE HUB, a Government of Telangana initiative is strongly promoting women entrepreneurship in the state. We HUB today has awarded loan sanction letters for 16 Women entrepreneurs for amounts ranging from Rs. 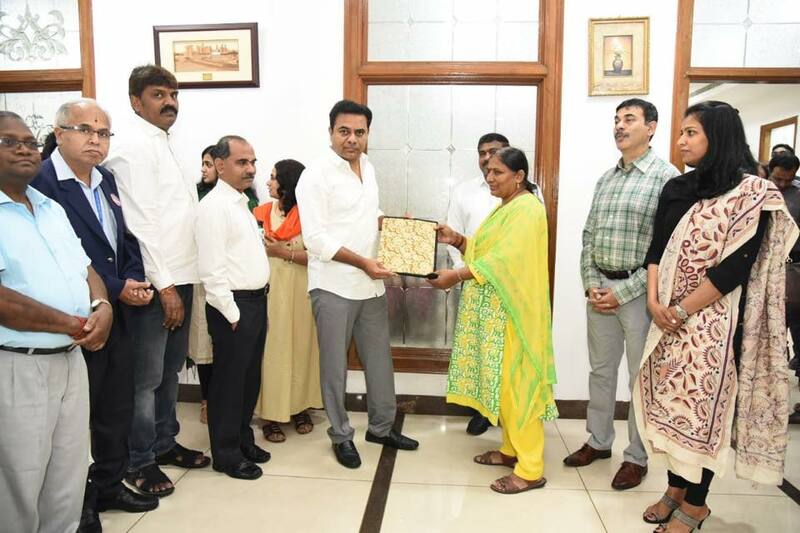 3 lakhs to 2 crores in the presence of Minister Mr. K T Rama Rao at Pragathi Bhavan today. For the loan facilitation, WE HUB worked closely with MSME-DI and SBI SME for operationalizing funds under the MUDRA, Stand up India and CGTMSE Schemes. According to the Women Entrepreneurs, WE Hub paved the way for their entrepreneurial ambitions by facilitating main-stream credit linkages. 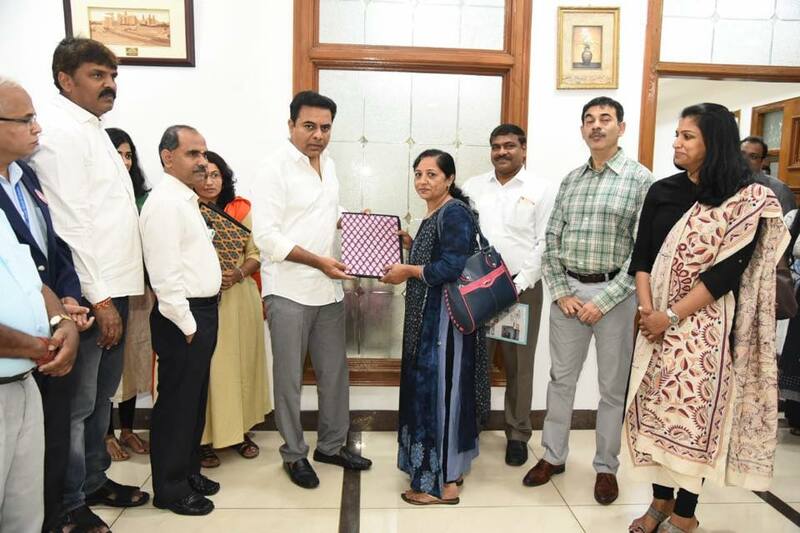 Minister KT Rama Rao interacted with the Entrepreneurs and asked about their experience working with WE HUB and how it has enabled them. The entrepreneurs spoke about their journey, the assistance and guidance received from WE HUB towards creating project proposals, understanding financial modeling and how the financial impetus received through WE HUB will enable them to scale up faster.